Last week I pretty much cleared the site. Just a few more of the small coffee trees to cut down. 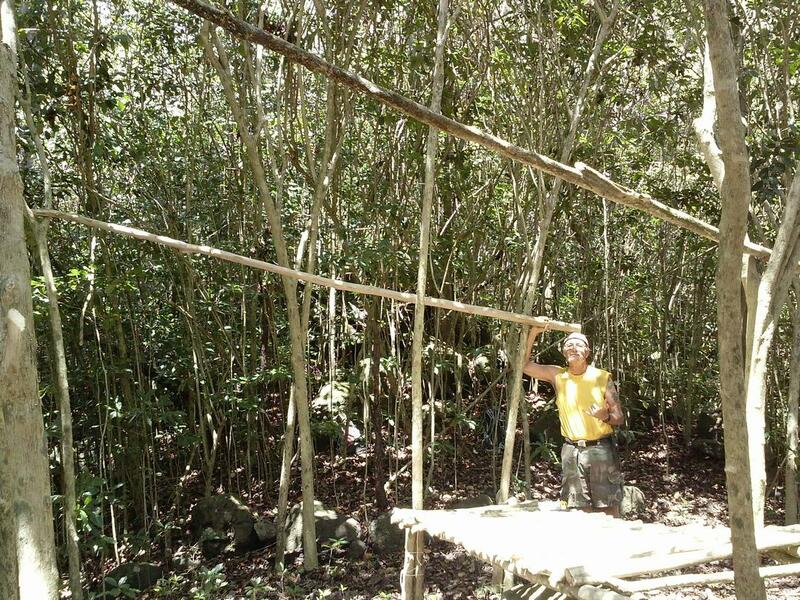 Today Stanka came along and helped plan and build the platform that would be in time covered by the Lean-To. The first thing was to sort thru the cut logs that were saved during the clearing to find two that would make the base of the platform. 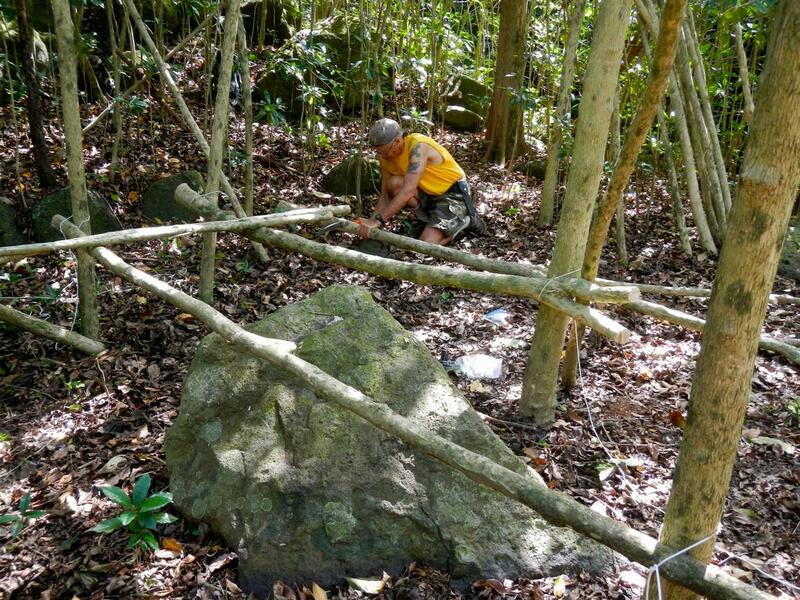 We used a laser level sitting on the big pohaku to figure where to tie the logs. 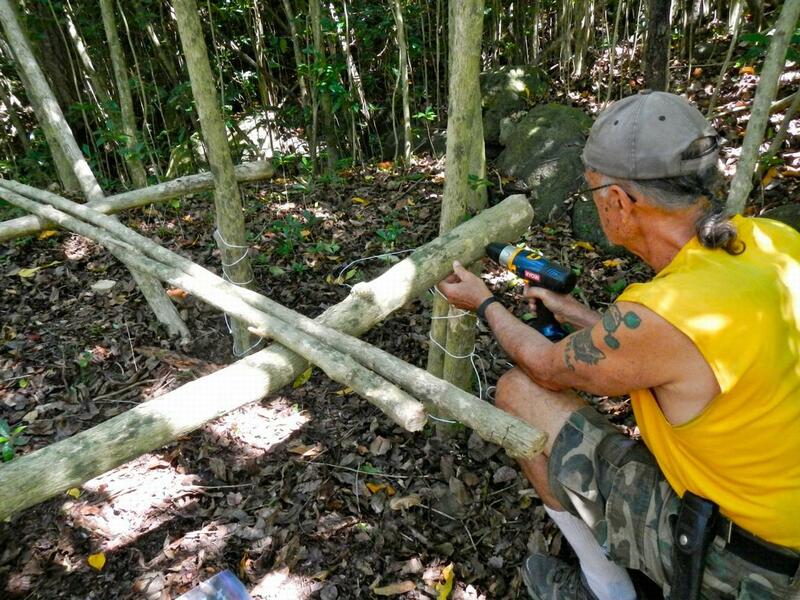 Then we cut posts that would replace the string holding the logs. 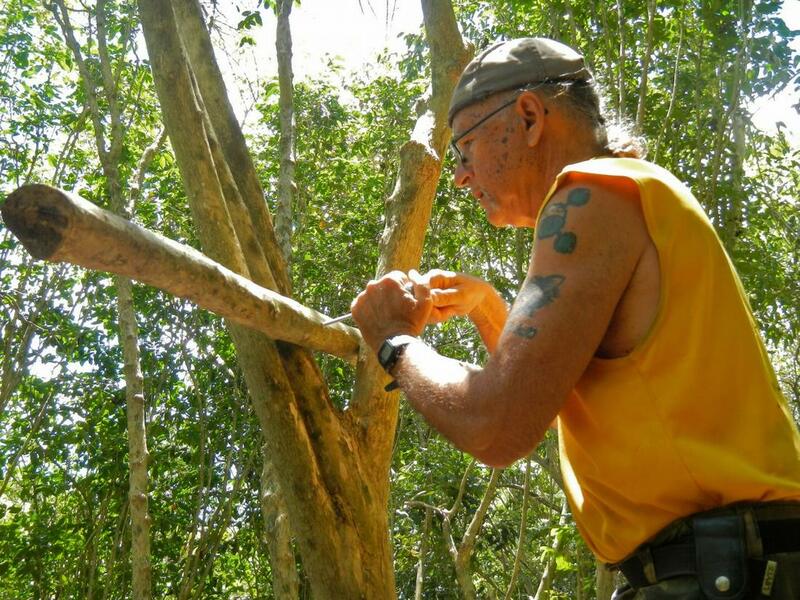 The posts were cut and tied to the live trees. Then we moved the horizontal log from being held by string and sat them on the posts. Plan was to drill pilot holes and using 4 1/2" lag screws to secure them to the trees. 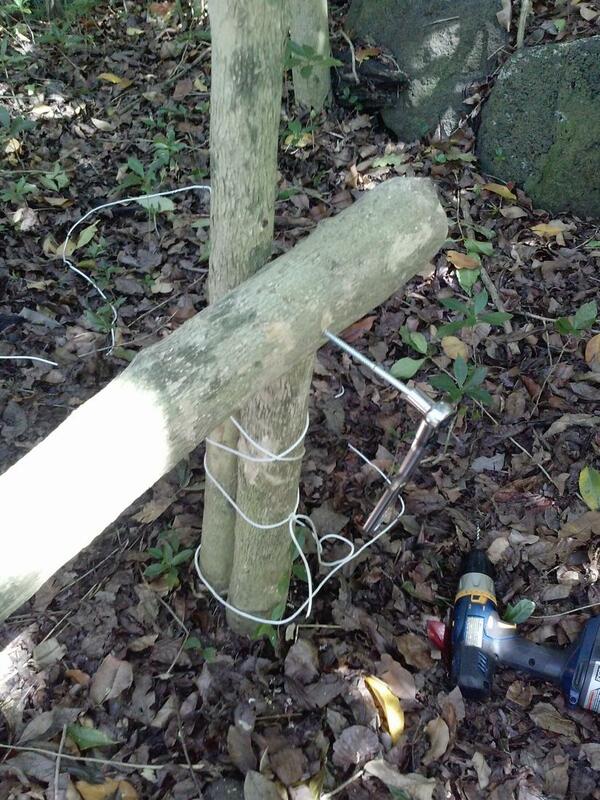 Here you can see the lag screw and the socket wrench that would secure the logs to the trees. The problem was that the drill bit I brought for the pilot holes was to short and the "cheap Chinese" lag screws snapped when they hit the end of the pilot holes. Back up plan we use rope again to hold the logs to the posts and trees. 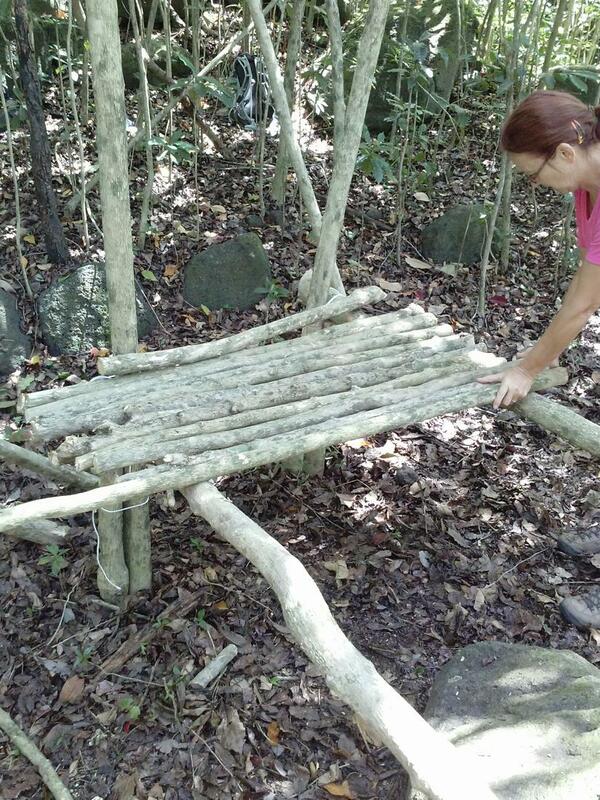 After securing the four corners we began cutting smaller log to create the platform. 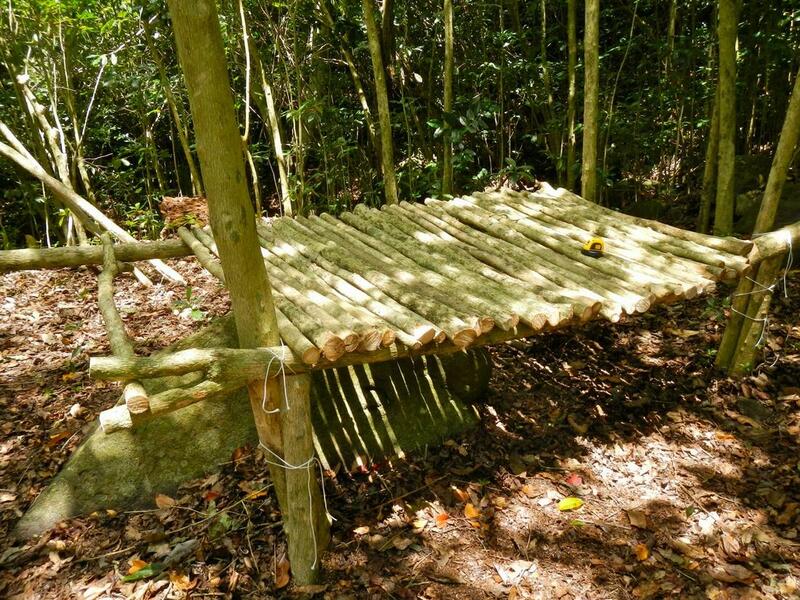 The platform will be used either as a table, or a raised "bed" to sleep on. All the pieces are cut and the platform is just about finished, well maybe not just about as they have not been secured to the logs. Even though they were not secured we had to try the platform out. 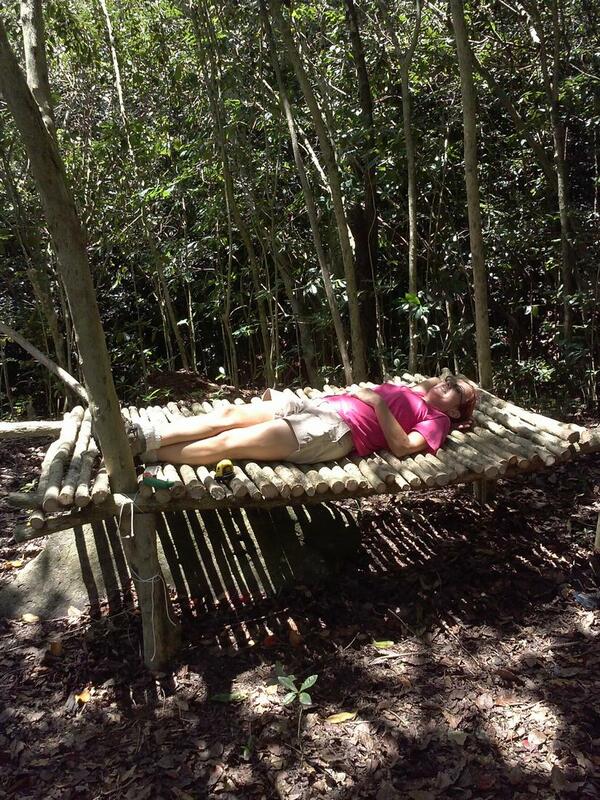 I'm 6' tall and as you can see the platform is long enough and wide enough to sleep on. Right now it's not really comfortable, but w/a hiking mattress it will be just fine. 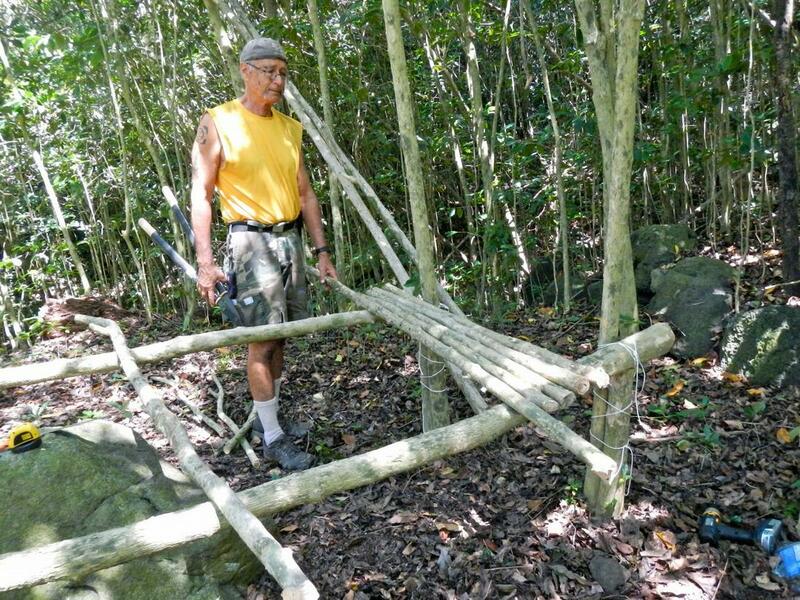 Of course it does rain in Hawai`i and the sun can be hot so there will be the lean-to built over the platform. 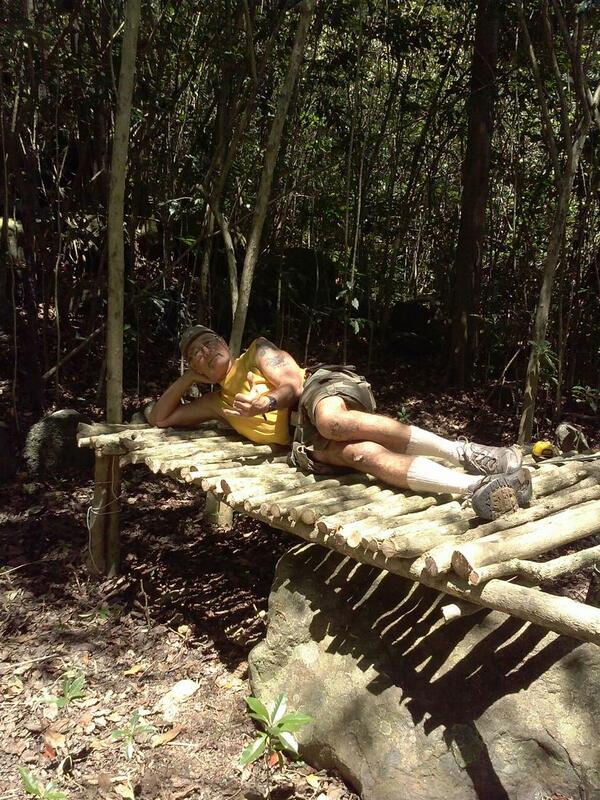 Here I tried again to bolt one of the lean-to beams to the tree. This time I managed to get the lag screw into both before it snapped. Here you can see the two beams that will support the tarp and make the sun/rain cover over the platform. This project took the two of us from approx 9 a.m. to 2 p.m. with hourly breaks and a full hour off for lunch.